The European Centre for Modern Languages of the Council of Europe (ECML) invites professionals in language education who work and live in an ECML member state to take part in the Call for proposals which is open until 22 April 2019. 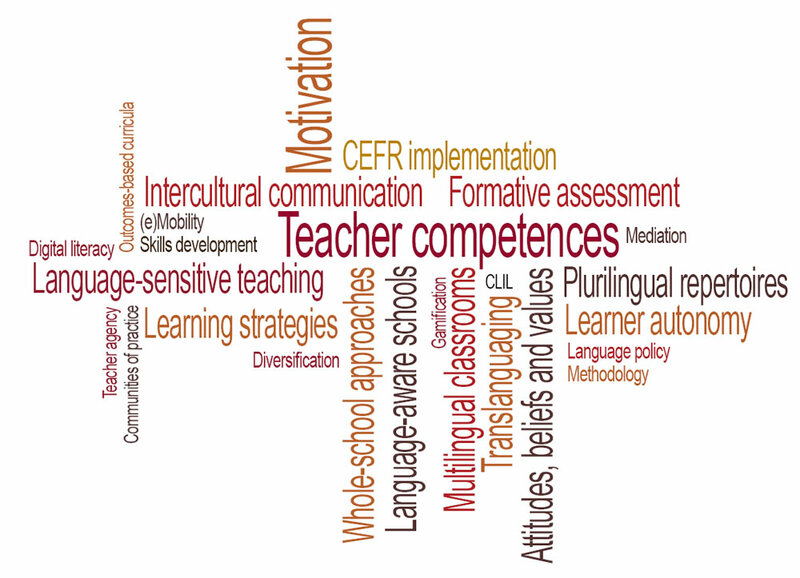 Organising language education (such as successful transitions across educational stages…). Get involved in a unique European platform! 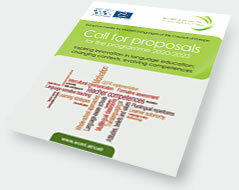 The Call for proposals offers the opportunity to get involved in and benefit from a unique European platform to negotiate, communicate and publish your innovative ideas, and to make a genuine contribution towards influencing language education in Europe. Would you like to address one or more of the above mentioned priorities, and share and enrich your ideas on language education through European collaboration? Are you interested in developing practical resources with the support of a renowned European institution, which can be adapted to fit the different national contexts? If so, do consider getting involved in an ECML project, either by submitting a project proposal or by applying as a team member. Please consult the dedicated website www.ecml.at/call to find out more about the national priorities and possible topics, key considerations for submissions, as well as ways of getting involved in the next ECML programme and the proposals procedure. Please take note that the proposal form for project coordinators and the application form for team members will be available online by 31 January 2019. To facilitate the outreach of the Call to the envisaged expert public, the section of the Call website entitled “Promote the Call” contains support material such as the Call brochure, the Call flyer, the video presentation of the launch event of the Call, as well as images for promotional use (programme logo, website banner, wordle "Priorities", wordle "Education sectors, target groups and languages"). This section will be further developed over the next few weeks. A promotional event in your country: this could be a dedicated seminar focusing on the Call. It could also be a session/presentation with ECML representation either in person or via a video message, as part of an event (conference/seminar etc.) which is already planned. Currently five promotional events are planned in Austria, Finland, France, Slovenia, and Sweden (see calendar of upcoming events). Please use this form to request ECML support for such an event. Translation of the Call flyer into your national language(s): if you send us the translated text of the flyer, the ECML will do the layout and provide you with a PDF version of the flyer in your language(s). Please note that the Wordles would remain in English or French, according to your preference. We will also provide printed versions of the Call flyer on demand. “Liking” and re-tweeting the Call information on the ECML’s social media platforms Facebook and Twitter (#ECMLCall). Putting information and/or the Call website banner about the Call on the website of your ministry/agency/organisation. We would be very grateful if you could promote the Call as widely as possible.